Sarah Hunt is a Lecturer in International Development at the Institute for Development Policy and Management, The University of Manchester. She is currently carrying out research supported by ESID into the impact of the rise of the new Left in Latin America on political dynamics in Central America. Sarah’s research interests include Latin American politics and development, especially that of Central America; the political economy of development and aid; governance and development; and state-society relations. Hunt, S. (2015). ‘Breaking the rules, breaking the game: External ideas, politics and inclusive development in Honduras‘, ESID Working Paper No. 52. Manchester. ESID blog, 7 October 2015, ‘Breaking the rules, breaking the game: Ideas and protest in the shifting Honduran political settlement‘. Hunt, S. (2013). ‘The role of the international financial institutions in Central America’ in S. Marti i Puig and D. Sanchez-Ancochea, The Handbook of Central American Governance (Abingdon, UK: Routledge). 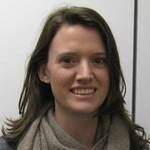 View Sarah Hunt’s University of Manchester staff profile.